Simply stunning white round wedding cakes with green trimming. 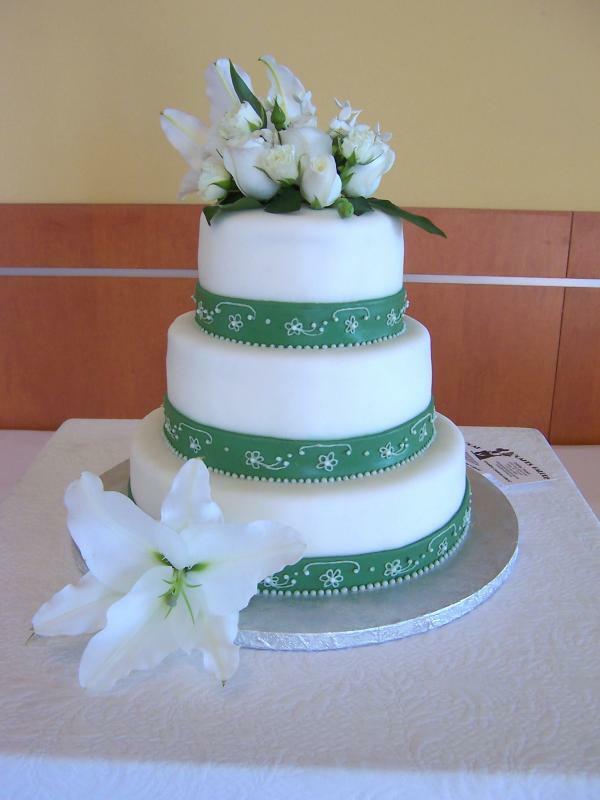 Soft green ribbon trimming on white round wedding cake with white calla lilies. Lovely antique green trimming separating cake tiers and white roses blossoming out of the top cake tier. Simple and stunning four tier wedding cake in white with olive green satin ribbon separating the tiers and topped with silver letters. 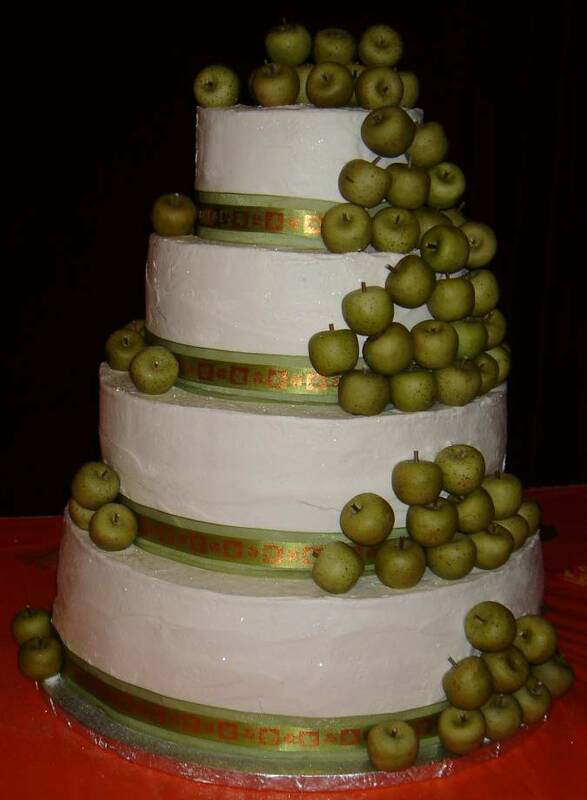 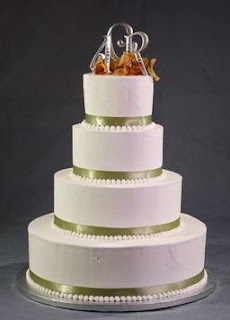 Unique four tier wedding cake with green apples cascading down the cake tiers. 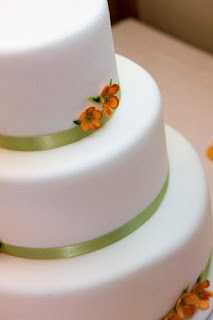 Classic round white icing wedding cake with soft green ribbon trimming and small orange flowers. 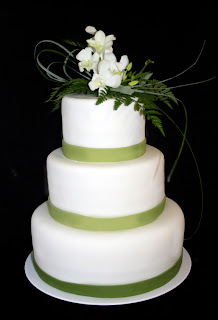 Black and dark green satin trimming with fresh flowers on top. 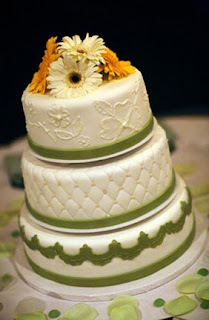 Delicate quilted three tier wedding cake with orange and white gerbera daisies and green icing trimming. 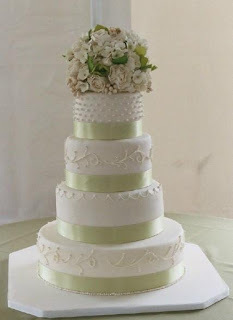 Classically elegant wedding cake with green icing trimming dividing cake tiers and some fresh white flowers on the top of the cake. Pastel green thick satin ribbon on gorgeously decorated white wedding cake. 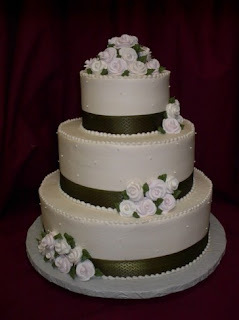 Dark green ribbon trimming with stunning small sugar roses on elegant three tier round white wedding cake. White wedding cake with green flowers. 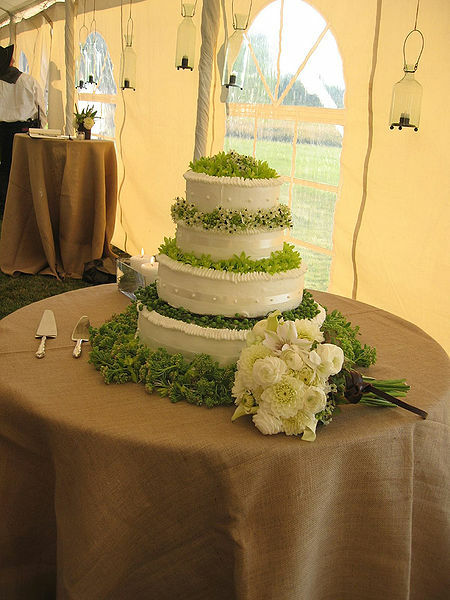 Beautiful green and white wedding cake. 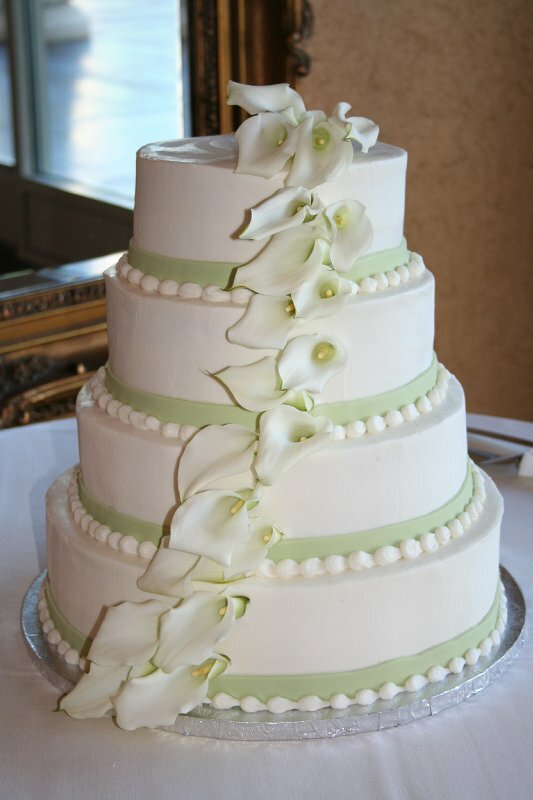 Traditional white sugar calla lilies cascading down the side of a lovely round white icing wedding cake with soft green trimming. 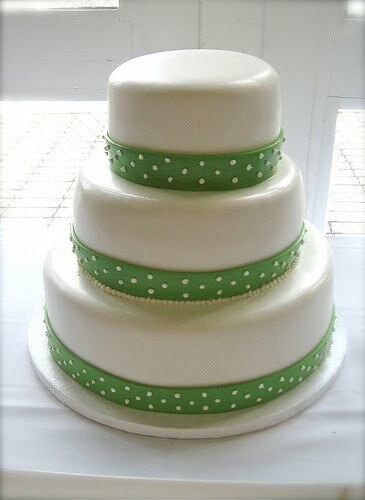 Simple three tier round white wedding cake decorated with green polka dot trimming.